The May 22 Eurogroup transcripts leaked to Euro2day.gr news site indicate that the International Monetary Fund is not convinced of the Greek debt sustainability and the conclusion of the bailout program review is still in the air. The website presents the transcripts of a rather stormy meeting between euro zone finance ministers, European institutions and IMF chief of the European department, Poul Thomsen. According to the leaked transcripts, Thomsen appeared to deny all possible solutions on the debt sustainability issue, yet he agreed to the disbursement of the next loan tranche to Greece. At the same time, German Finance Minister Wolfgang Schaeuble did not back down on the IMF demands and insisted on the May 2016 agreement on the bailout program. Finally, Greece, following a telephone conversation of Finance Minister Euclid Tsakalotos with Prime Minister Alexis Tsipras, decided to veto the second draft and so the meeting ended. 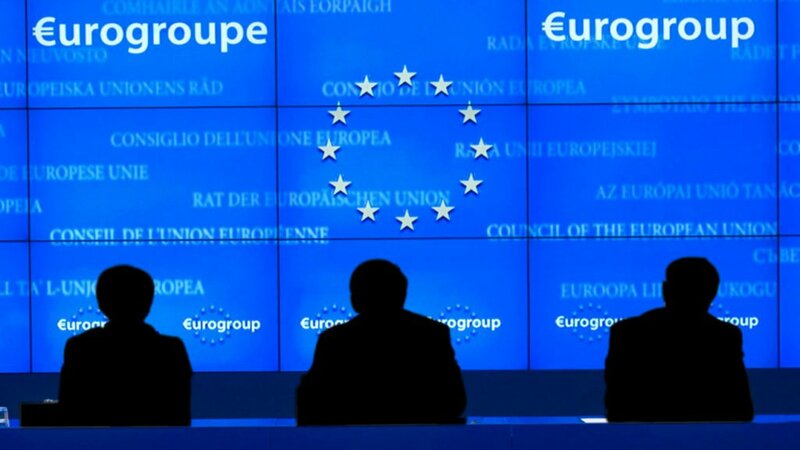 According to the transcripts as presented by Euro2day.gr, Thomsen said that he cannot tell the IMF Board of Directors that conditions have been met for the participation of the Fund in the Greek program. He agreed that Greece has made progress in taking measures and implementing reforms, but the Fund has not agreed on primary surpluses or growth forecasts and needs more specific measures on how the Greek debt will be dealt with. Tsakalotos said that Greece accepted the IMF terms from the beginning of the program and now the ball is the Fund’s court. The Greek finance minister stressed that international markets expect to see Greece entering the European Central Bank quantitative easing (QE) program and has turned a page. If the decision is postponed again, it will send a negative message to the markets. “I think that if we publish this proposal as it is, Greek spreads will go up and the Greek economy will suffer. I had very difficult negotiations with the IMF, with a veto from Germany and the Netherlands, so I was in a weak position. We accepted the terms of the IMF, so we have a program with the IMF. The ball is at your court,” Tsakalotos said. Schaeuble surprised everyone because he began reading the May 2016 decision and justified his position by saying that what was being discussed in the Eurogroup was basically a new decision for which he is not entitled to negotiate without the mandate of the German Parliament. “I can not negotiate a new mandate, so our base must be this (May 2016). We have not vetoed the IMF, neither we nor the Netherlands. Let me remind you that we have already approved two programs from the Fund,” Schaeuble said. At that point, Thomsen said he does not want to endorse the viability of the debt, and Schaeuble repeated that nothing can be done beyond the 2016 decision, at which point the discussion heated up. “It is not acceptable that one compromise (2016) leads to another compromise (the new draft). I am not authorized. If this is the way, then good luck! We will not find a solution,” Schaeuble said. Eurogroup President Jeroen Dijsselbloem said that the clarity wanted by all parties has not been reached. “We could make progress, but not have the full deal today, which we never promised,” he said. After Tsakalotos’ statement, Dijsselbloem said that Greece can go back to work towards a disbursement of the next loan tranche in the summer and everyone will try to conclude on the next Eurogroup.